For anybody who's downloaded my tileable mail textures and thinks it must be difficult to make them - it's not! This is how I make my tileable mail textures. 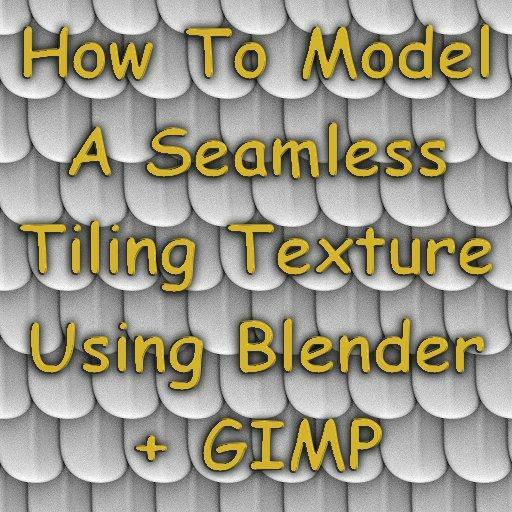 As long as you're familiar with Blender you should be able to follow these 12 steps quite easily and start creating your own seamless tiling textures. If you're not familiar with Blender but you use another 3D modelling application, then it may be worth looking at this PDF since the same principles apply (I guess), and you may be able to adapt the method to your app. Please bear in mind that this PDF assumes that you already have a reasonable knowledge of Blender - it is not intended for a complete Blender novice. Dperson (6 years ago) Inappropriate? Thanks, can't wait to give this a try.